Cancer of the oral cavity is one of those cancer types which tends to be forgotten. This doesn’t, however, make it any less concerning than other types of cancer which may receive more publicity. Here’s Vitality’s simple guide to the early signs of mouth cancer, and what you need to know to be the best advocate for your health. Oral cancer is actually a term used for several different types of cancers. Any cancer occurring in or around the mouth cavity will find itself grouped in this category. This includes cancer in the jaw, lips, voice box or tongue as well as the more obvious gums and tonsils. How scary is mouth cancer? Hearing you may have cancer, in any form, is always a scary experience. However, be aware that spotting the early signs of mouth cancer, and getting your mouth cancer treatment swiftly, is the key to a positive outcome. Early diagnosis is the most important step to successfully beating cancer, and regular visits with a dental hygienist are part of that. Oral cancers are surprisingly common, with men slightly more likely to contract this specific form of cancer than women. Fortunately, the last thirty years have seen a dramatic upswing in mouth cancer treatment methodology, with a concurrent rise in survival rate we hope will reassure you. You are not alone, and you can fight oral cancer. When you are looking for the early signs of mouth cancer, do always bear in mind that the term does not refer to one type of disease alone. Cancer itself can be a very individual journey, and symptoms may express differently in each patient. Don’t let this dishearten you, however- it simply means that you should feel confident to discuss any abnormality in the oral area that has you concerned with your dental team. 9 out of 10 times, these issues and abnormalities turn out to have a different cause, but it’s wise to act on any concerns you have timeously, regardless of the final diagnosis. This will inevitably lead to faster recovery and less lasting damage from the problematic incident, whether or not it is cancerous. So, while we know that we should have any noticeable irregularity in the mouth and surrounding area examined, what might one of those irregularities be? When it comes to the actual oral cavity you may notice a sore patch on the gums, lips, palette or inner cheeks. It could be raw or white, and may or may not bleed. There may even be a swelling, or lump, in the area, perceptible to the eye or simply able to be sensed by the delicate oral tissues. Any such abnormality persisting more than three days should be examined. Your gums may bleed abnormally despite previously being robust, you may have sudden and irremediable bad breath, or you may feel as if you have something impacted within the gum line without actual physical issues. Difficulty swallowing may also occur. Other forms of oral cancer are more difficult to detect. Pay close attention to any sudden impingement on the comfortable use of your throat, voice box or jaw. This could be sudden pain in any area, difficulty in movement, or trouble swallowing. Your voice may also be affected. Why do you get mouth cancer? Cancer can be a hit-or-miss disease…very often there is no real reason that you contract it. You may have a very clean and healthy lifestyle, or, if you indulge in a bad habit or two, you may know a lot of people who do the same without any adverse effects. Cancer is a result of sudden mutation or damage to the DNA in your body, resulting in abnormal cell growth. It’s important to realise, even if you have indulged in risky behaviour that increases your chances of contracting oral cancers, you are not ‘to blame’ for the disease, nor are you ‘being punished’ for bad habits. Rather focus on strong support [including your dental team], recovery and getting proper mouth cancer treatment rather than assigning blame [or allowing anyone else too]. Your health and recovery are the most critical thing. That said, there are some lifestyle factors that will significantly increase your chances of contracting oral cancer. Quitting these can help minimise your chances of future cancer. This involves all use of tobacco products, from chewing tobacco and cigars through to smoking hookah pipes and cigarettes. Tobacco contains a host of known carcinogens [DNA disrupting elements] to which your delicate oral tissues are being exposed. It also dries out your mouth, leaving you less able to ward off issues and prevent immune suppression. Alcohol is also a risk factor in mouth cancer, although the link with oral cancer generally lies with heavy use of alcohol rather than mild drinking habits. Human papillomavirus, or HPV, isn’t just a factor in cervical cancer– it can cause cancers of the mouth too. It’s also the only current form of cancer which is still on the rise, and often underdiagnosed in men. Please consider vaccination for yourself and your children. 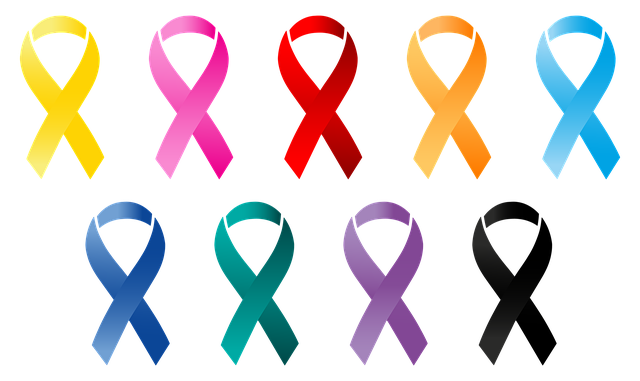 Sadly, having survived another type of cancer, regardless of the form, can also be a risk factor in receiving a new cancer diagnosis. While not generally a factor in ‘internal’ oral cancers, excessive sun exposure can cause cancer along the lips. Workers who are regularly around radiation sources need to take precautions to lower their exposure as well. Unsurprisingly, the worse shape your mouth is in the higher your cancer risk. This is due to the excessive burden on your immune system leaving you vulnerable to damage on the cellular level. Maintaining great oral health is one of the major aspects of cancer prevention you have a high degree of control over, so do be sure to invest a little time in maintaining your mouth. As you pass 45, your risk of oral cancer will rise exponentially, and the elderly are at risk for oral cancers. Take the chance to quit bad habits and improve your oral health today to minimise this risk. Having a solid dental hygiene routine and regular preventative visits with your dental hygienist is an important part of lowering your risk of oral cancers, especially as it increases the likelihood of early detection [and thus faster mouth cancer treatment] if you do have any worrisome symptoms. Don’t be afraid to get in touch with the Vitality team and begin to rebuild your oral health today.